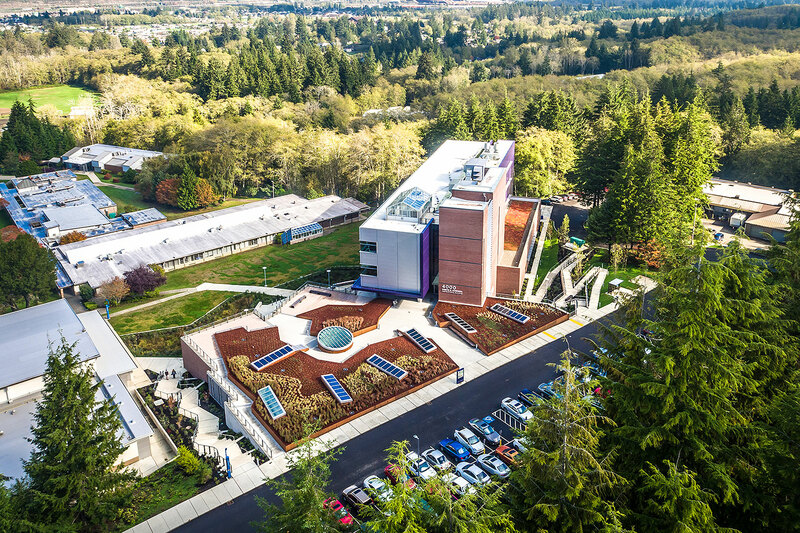 The design process reviewed buildings and associated sites that were no longer able to meet student or instructional needs and did not reach campus-wide energy conservation measures. 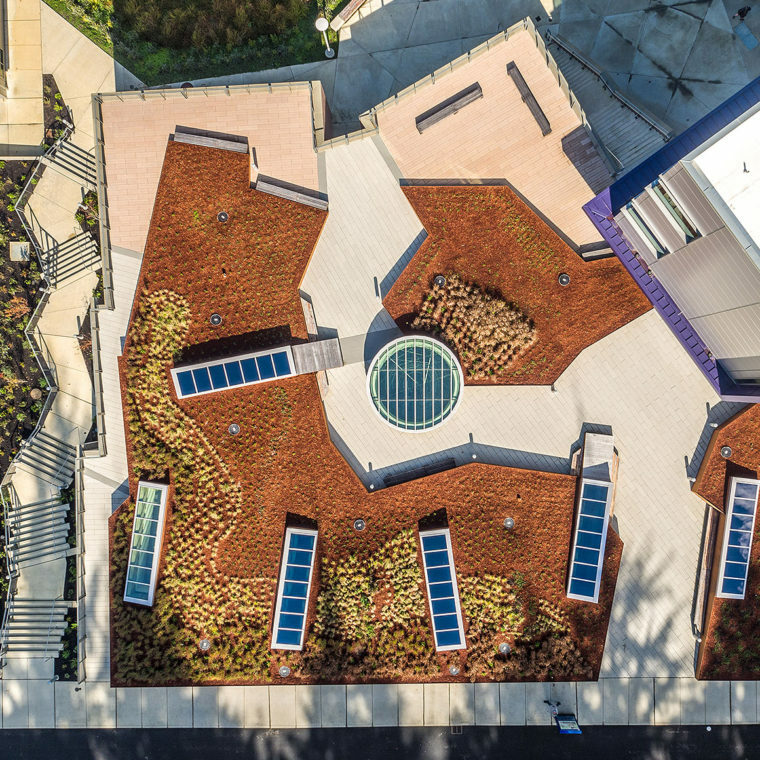 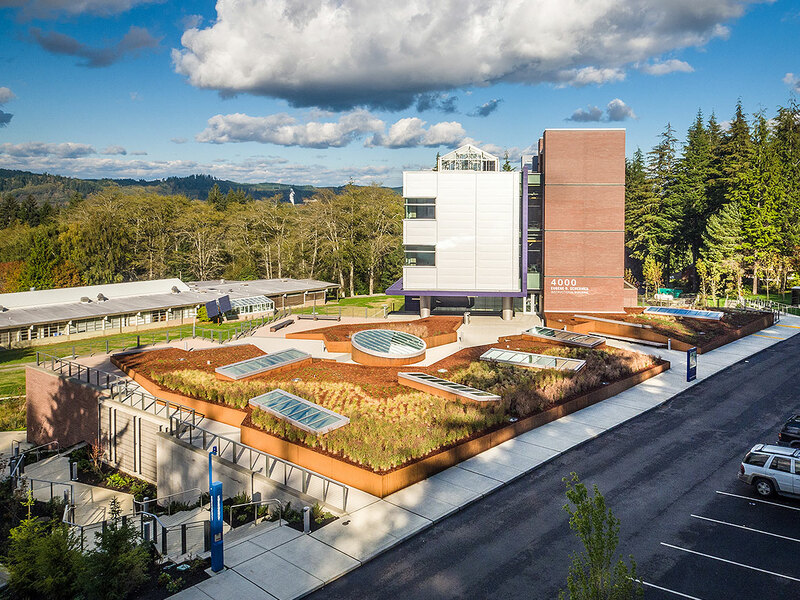 With the focus of the building being technology and innovation, the design addresses outdoor learning space with pervious hardscape, native and adaptive plant material, educational stormwater rain gardens, and a green roof. 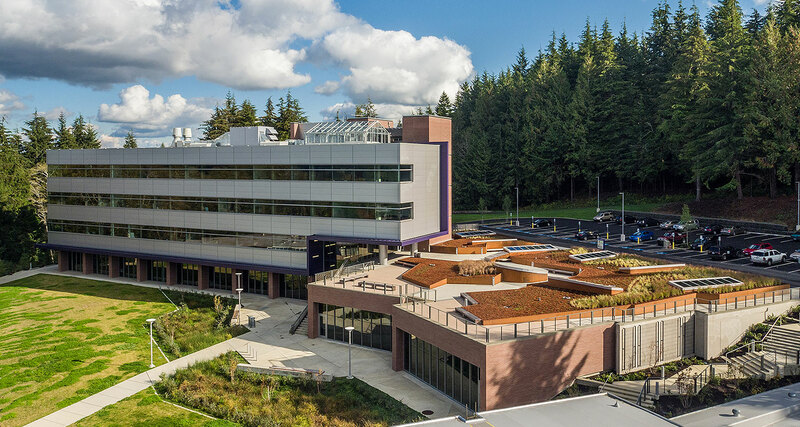 This will be the first LEED-certified building on campus and is anticipated to receive a LEED Silver rating.